Aer Lingus announced its January sale and embarked on an advertising burst to promote the 3 million discounted seats. As part of the campaign, the airline unveiled an innovative contextual OOH campaign incorporating classic formats alongside dynamic digital screens and a special build. The multi-content campaign sought to build awareness of the sale, connect with an in-market audience and as a result, drive conversion. 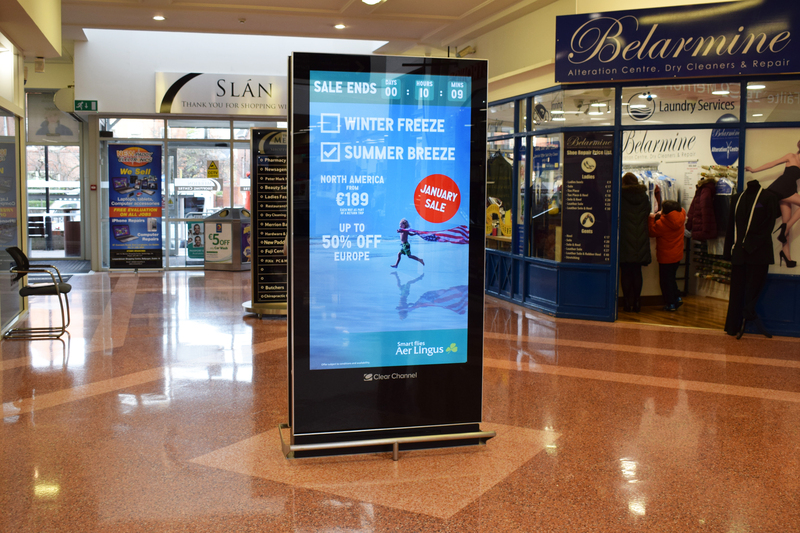 For the Digital OOH aspect of the campaign, multiple data triggers were incorporated using our Dynamic platform to deliver a smarter campaign and create engaging and optimised content for the audience. A countdown trigger to the sale’s end date ticked down on Connolly Station’s Digital Gallery. On the Adshel Live network, alongside the countdown, different creative executions were shown based on predefined weather triggers. Specific taglines were on show with; ‘Lashing Rain|Sunny Spain’ triggered when it’s raining and ‘Winter Freeze|Summer Breeze’ triggered when the temperature drops below 5 degrees. 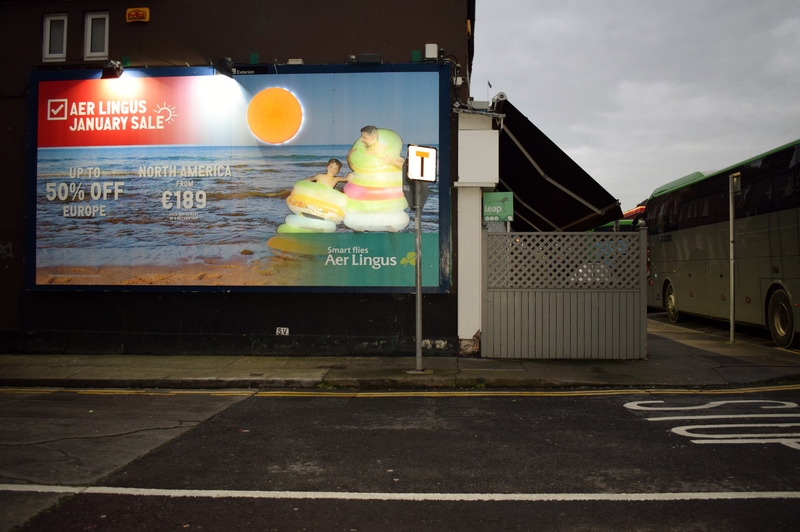 A 48 Sheet special was also included in the OOH campaign with the billboard on Upper Grand Canal Street integrated with motion sensors which brightened up the sun and inflatable rings within the creative as people walked by, attracting their attention. 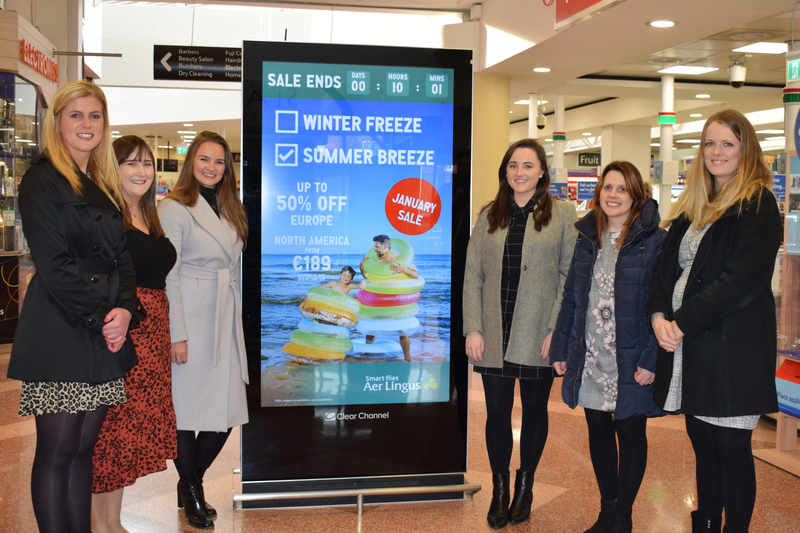 A data informed approach to the OOH planning led to a smarter campaign, with our Pinpoint mapping data ensuring accurate targeting and OCS travel and consumer survey informing that those who travel once a year or more on holidays are more likely to be interested in dynamic content displaying on DOOH. Carat and PML were responsible for the Outdoor planning, with creative produced by Kessler Kramer and the special build supplied by Eclipse media.